The tables in the Copenhague series are minimalist in essence with clear functional qualities and an aesthetic expression that hits the mark. 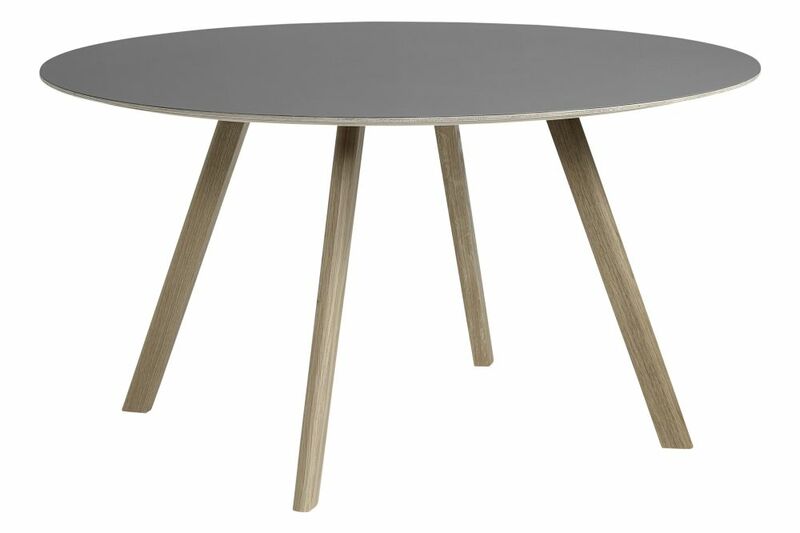 The tables are available in stained, soap-finished and lacquered oak with tabletops in veneer or linoleum in a subtle and stylish colour palette. The round tables, which come in four sizes and three heights, are equally perfect for intimate meetings and larger, café-like environments. Here, the Copenhague series demonstrates its versatility with its ability to blend into private homes as well as larger interiors.